After 40 years of waiting, a local Plant City festival volunteer will be seeing Engelbert Humperdinck live in concert on the Wish Farms Soundstage. When acts come to the Florida Strawberry Festival each year they always bring show stopping performances to the community. This year, one performer will inadvertently bring a local resident’s dream full circle. 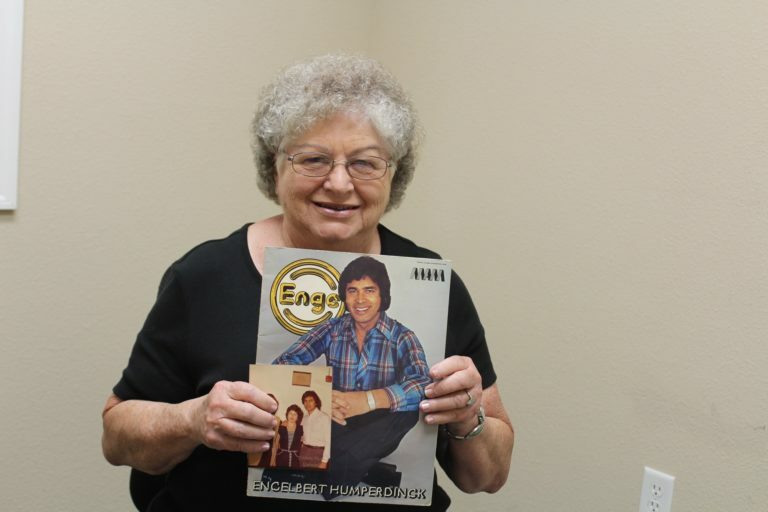 Nora McClendon has been a fan of Engelbert Humperdinck for decades. Nearly 40 years ago she won a radio contest and received backstage passes to see him in concert when he came to Lakeland. It was a day she’s remembered ever since. Humperdinck signed her program and took a photo with her, ensuring she would be a fan for life. Decades may have passed, but McClendon’s love for Humperdinck never wavered. Months ago, as she was cleaning out a closet, she stumbled upon her signed program and photos, flashing her back to that fateful evening. Days later, she read he would perform at the 2018 Florida Strawberry Festival. The concert is set nearly 40 years to the day of her first meeting and she has front row tickets to relive the experience all over again. She plans on bringing her old program and picture with her to the concert, hoping he’ll see it and will take another photo with her all these years later. Her friends are attending the concert with her and she has family coming in just for the yearly festival. McClendon has spent her life helping others. After graduating from nursing school she worked at hospitals with geriatric patients. She said she loved every second of it. Eventually, McClendon took a job with the Hillsborough County School System and was a nurse at Plant City High School. The change nearly made her “lose her mind,” but she soon developed a love for the kids coming through her door. When she found out Turner was coming to the festival she sent word to his Buddy and bought tickets for them to go. When a community member found out, they bought a ticket for McClendon to tag along as well. McClendon is heavily involved in the community. She is on the Planters Reunite Committee, volunteers at her church New Hope @ The Cornerstone and now works at Haught Funeral Home, though she admits she refuses to ever go into the back room. She jokingly said she’s gone full circle in her career, from geriatrics to pediatrics to a funeral home. Despite her hectic schedule she never misses the festival, even taking off occasionally to work the information booth at the event. The parade, which was her mother’s favorite event, is on McClendon’s birthday this year and she said she’s looking forward to having such an exciting year at the festival. The highlight, though, will undoubtedly be listening to Humperdinck live once again.